More than 200 international experts from over 50 countries will attend this event, including high-level officials from government, central banks, financial institutions and not-for-profit organisations, as well as representatives from the academic community, private and civil sectors. The conference will be held back-to-back with the meetings of the Technical Committee, working groups and Advisory Board of the OECD International Network on Financial Education (INFE) on 21-22 May 2019. 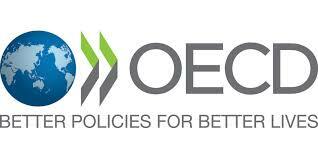 OECD/INFE full members can access meeting documentation here. This event is co-organised by the OECD/INFE and the Financial Sector Conduct Authority of South Africa. FPSB, Financial Planning Standards Board and Financial Planet are registered trademarks owned by Financial Planning Standards Board Ltd. Copyright © 2004-19, Financial Planning Standards Board Ltd. All rights reserved.